Luis Burriel (SOMOS.arquitectos) publication for the CIVA. 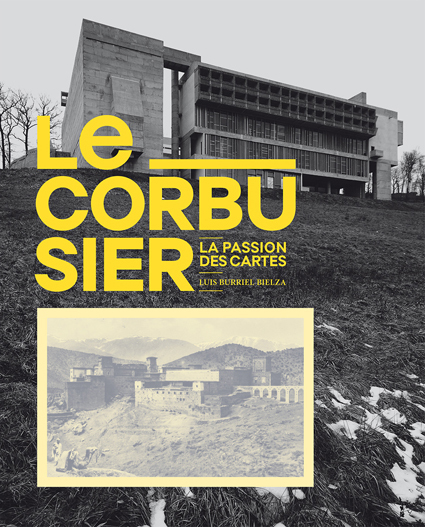 Éditions Mardaga and the CIVA have coedited the travelling companion for the recently opened exhibition "Le Corbusier, la passion des cartes" at the Centre International pour la Ville, l'Architecture et le Paysage (Brussels). This event aims to put into value a “work tool", an instrument, whose role as a vital source for the construction of the architect’s imaginary and most personal universe has been up to this point somehow neglected. Le Corbusier’s postcard collection is here presented as a sculptural and poetic medium, a useful “support” to go across and understand the vital space between his work and the physical substratum where it finds a place. There is a connection between these postcards and the reflections that finally give shape to his architecture. This exhibition shows his endless capacity of assimilation, which even today, continues to seduce us. The interest of this accumulation is also focused on its power to reveal the architect’s ability to understand and interact with his environment through a nonlinear integration of different subjects. When constructing and using this collection, "analysis" and "synthesis" share the same hierarchy, blending both approaches in the same operation, constituting an inevitable continuum that’s to be found at the root of his own "thinking-making". Just as it clearly emerges throughout each one of the four proposed categories (Travels / Carnets de notes / Writings and Publications / Drawings), postcards give Le Corbusier another point of view which side by side along other means of expression such as photography, drawing, design and writing, conforms a multimedia kaleidoscopical analysis of our world.